InterState Glass & Mirror furnishes and installs all types of shower doors. 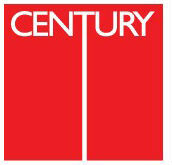 we have been installing Century shower doors for over 26 years and have found Century shower doors are the highest quality with customer satisfaction second to none. Most of the doors are on display in our 2,000 ft showroom. Stop in to see our selection and Bruce Jobin will help you find the option to fit your décor. with InterState Glass & Mirror, you will get superior service and a lifetime guarantee. Keeping your shower enclosure clean usually means spending time, money and hard work, scrubbing with harsh chemicals. InterState Glass & Mirror will help you find the right Century Bathworks glass enclosure to bring your bathroom the visual elegance it deserves. The Addition of the Diamond Fusion® glass treatment can reduce your cleaning time up to 90%, Depending on the mineral content in your water. Spend less time scrubbing and more time living.